Thursday’s The Economist had the following article. It explains what the U.S. needs to do to fix health care. Our leaders in Congress, both Democrats, and especially Republicans should listen to what it has to say. Medicare for All is not socialism, socialized medicine, or communism. 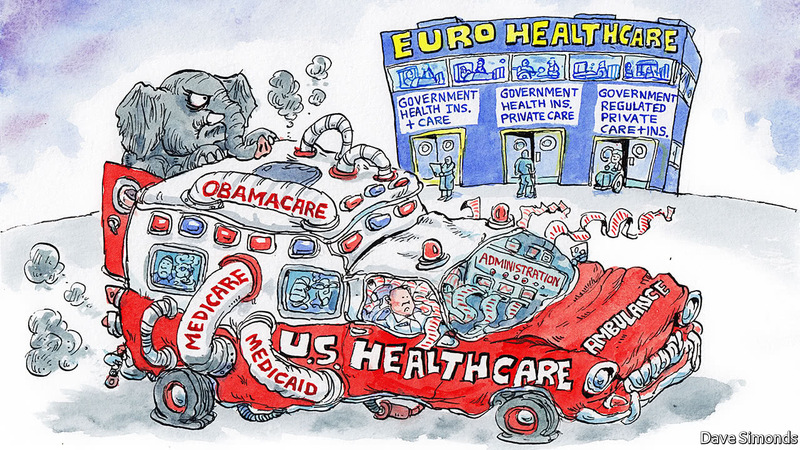 But the status quo is health care capitalism, and has been a disaster. This entry was posted in ACA, Affordable Care Act, AHCA, Capitalism, Congress, Democrats, Europe, Federal Government, Health Care, Health Care Reform, medical-industrial complex, Medicare for All, Single Payer, socialism and tagged ACA, Affordable Care Act, Capitalism, communism, Congress, Democrats, Europe, medical-industrial complex, Medicare for All, Republicans, Single Payer, socialism, socialized medicine on August 13, 2017 by Transforming Workers' Comp.